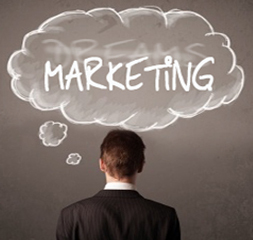 You have a marketing plan – now what? So, you have a marketing plan all prepared. You’ve identified your target audience, mapped out where you want to go, and established your brand message – or you’ve at least thought about the answers to some critical marketing questions. Now it’s time to get to work. It’s time to get your message out. This next step can be a doozy for so many businesses and entrepreneurs. Just taking the time to think about your overall marketing plan and brand goals can be a huge undertaking, but figuring out how to actually DO something is an entirely different beast. Although planning and preparation are important elements, without taking this next step, your goals are just dreams. It’s time to turn those dreams into realities. 1. Where does your audience “live”? Where are the best places to reach your potential customers and clients? What mediums are they most likely to be exposed to frequently? Are they active on social media? Or are they barely computer literate? These are important things to know before moving forward. Pick a place to start, whether it’s a full page ad in a trade publication or a billboard on the highway, narrow down where your audience is most likely to be, and begin there. Once you’ve determined where your audience lives, you’ll need to decide how often you want to reach out to it. If you plan to run an ad in a monthly trade publication, at least start by committing to a few months and see what kind of responses you get. If you’re going with email marketing, you might decide on a weekly or bi-weekly schedule, depending on your industry. Whatever you decide, stick with it for a predetermined period of time to see what kind of impact building your consistency will provide. Remember that doing something once isn’t marketing – it’s wishful thinking! 3. Develop your marketing materials. This is where you can really make an impact – or really fall apart.What problem(s) do you solve for your clients or customers? How do you help them? What’s in it for them? Build your marketing messages and materials around answering these questions. Images are Key. Statistics – did I just hear you yawn? Statistics tell us that visuals are the way to go when trying to make an impact. Of course, that’s not earth-shattering news, but you’ll need to make sure that you choose images to which your audience will relate and respond. Be Consistent. As you’re developing your materials, be sure to keep them consistent across mediums. Your full-page ad in a trade publication might be repurposed as a social media post, which can tie in with a blog post on your website, which can be referenced in your email marketing, etc. Wherever your materials are being shared, keep the message and images consistent so they will carry and elevate your brand across mediums. Speak to Your Audience. Your clients and customers are interested in getting the answers to their problems. They want helpful information that will get them results. They want to hear from you – in simple, easy-to-understand terms – what they are going to get out of working with you or buying your product(s). Keep your content focused on your audience, not yourself. 4. Plan your distribution. Where will you share your materials? Online? In print ads? On billboards? Don’t forget to make a schedule – and stick to it. I use a simple editorial calendar to plan what materials I’m distributing and where I’m distributing them. To help keep you on track, you can download my sample editorial calendar here. 5. Get help when you need it. I work with many small and mid-sized businesses and entrepreneurs. I often see them struggling to get everything done in-house. This can not only be a tremendous strain on resources, but can produce inferior results, neither of which serves to enhance marketing or branding. If writing a blog or designing a brochure are not a part of your everyday work, trying to do them yourself will likely take valuable time away from your main focus. Getting help when you need it will not only free up your time, but by using a professional resource, the quality of your materials and impact of your brand can vastly improve. Getting your marketing plan off the ground can seem like an overwhelming process, but if you never take the time to get started, the chances of creating any real results are slim. By taking a step-by-step approach and focusing on your goals, you can get a good start to marketing consistently, effectively, and professionally to turn those marketing dreams into realities.